In God is More than Enough (2004), Tony Evans, president of The Urban Alternative and Senior Pastor of Oak Cliff Bible Fellowship in Dallas, Texas, offers readers a powerful explication of Psalm 23. The book is published by WaterBrook Multnomah Publishers. Although the book is only 90 pages, it unpacks Psalm 23 in such a sophisticated manner while still being able to be easily understood by the average reader. Many readers will be fascinated at how much meaning is packed into the six verses that compose Psalm 23, and one is sure to gain a new appreciation for it or reaffirm its significance to the Christian’s spiritual walk with Jesus. In the troubling times in which we live, this book extends to the reader comfort and hope to face these disquieting times. In the Introduction, Tony Evans does not waste time in evincing how he conceptualizes Psalm 23: he sees it as an “attack.” He writes, “Beautiful as it is, this psalm is an attack. It’s an attack on our debilitating lack of trust in God and the great trauma of insecurity that’s brought on by such doubts and disbelief. Most Christians do not actually believe that God is more than enough” (8). By reading Psalm 23 through the lens of an “attack,” Evans makes a valuable contribution to the discourse about Psalm 23. Psalm 23 has not been traditionally viewed as an “attack.” The author contends that the psalm had to be penned to respond to our proclivity to look for our needs and wants from everybody and everything except Christ. The book aims to have Christians to eradicate their desire for and reliance on self-sufficiency. This longing and dependency on self-sufficiency removes the believer away from his or her responsibility to trust God for everything. Evans wants to remind the reader God is the source of everything we need and want—everything we have, need and desire comes from Him, and we should not look to ourselves for these things but only to God. If I were writing the book, I would not have selected the word “attack” and would not have interpreted Psalm 23 as an “attack.” Do not allow this to prevent you from reading and purchasing the book, however. This particular lens enables you to see Psalm 23 in a new light and to understand the totality of what Christ can for do for you—no matter what problems you face. The author gives excellent personal experiences, examples, and relevant scriptures to buttress the reader’s understanding of each verse of the psalm. I highly recommend that you purchase this book. Your comprehension and interpretation of Psalm 23 will be ameliorated after reading this book. 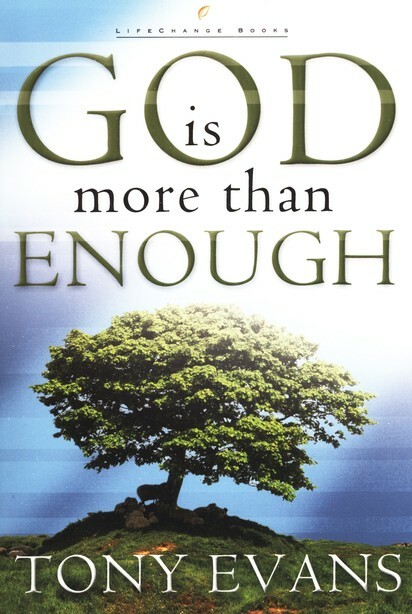 It can be purchased here: God is More Than Enough. WaterBrook Multnomah Publishers provided this book to me for free to compose this review. Thank you! I post articles about 4 to 5 times a week. I look forward to hearing from you again.